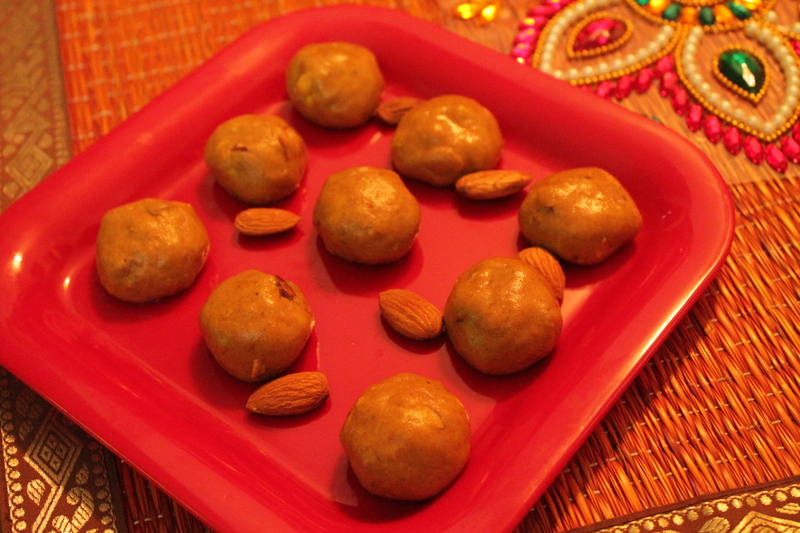 After several failed attempts at trying the Besan Laddu , I finally came close to a tasty version of the Besan laddu. By the looks of it , it isnt hard to guess the slight overuse of ghee, but practice makes a woman perfect..
Roast the gram four on low heat by stirring constantly until it turns light brown. Once brown , add the cardomon powder and powdered sugar and , almond bits and mix well. Stir in the ghee slowly and stir until you get small clumps of the mixture. 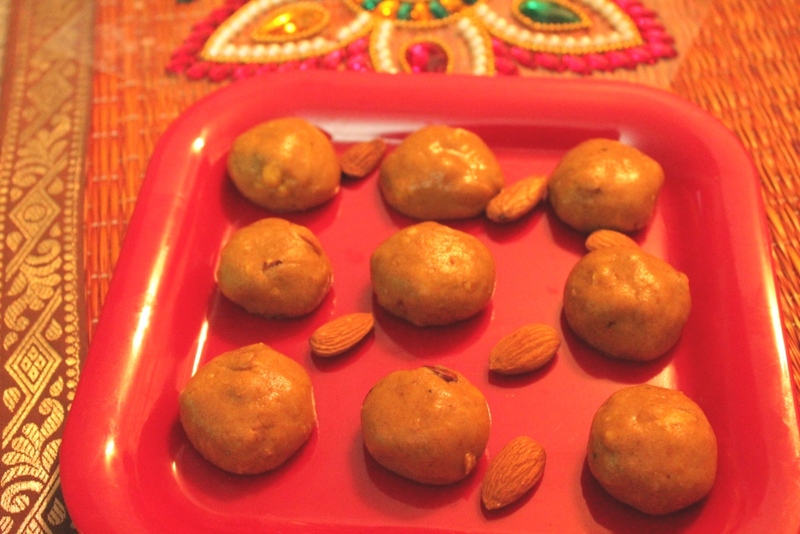 Let it cool for a while before you make small bite sized laddus.